Proposal professionals can expect to see an increase in "coding challenges" added to Request for Proposal (RFP) requirements. Government and industry are using coding challenges to either down-select offerors as an entry or final review gate after they submit a proposal. If government and industry do not create their own challenge, they may use one on sites like CoderByte or HackerRank. 1. GSA Comet – The General Services Administration (GSA) CIO Modernization and Enterprise Transformation (COMET). COMET will require offerors respond to a three-step down select process. All offerors will submit Volume 1: Past Experience. Offerors down-selected for Step 2, will submit Volume 2: Technical Approach. Offerors down-selected for Step 3, will participate in the Technical Challenge exercise. On the day of the challenge, the offeror will arrive with an Agile Development team prepared to create a working prototype within one business day.Draft Section 11 – Solicitation Instructions and Section 12 Evaluation and Selection Version 2 – Released March 18, GSA requests that the offeror “leverage Digital Service Playbook concepts to design, develop, and meet the requirements of the User Story. Following the deployment of the MVP, the offeror shall present a demonstration of their MVP and discuss the decisions made in producing the MVP. The presentation format of the MVP is at the offeror’s discretion, including the extent to which an offeror chooses to use slides or other presentation tools and techniques. 2. Office of the Under Secretary for Defense Intelligence (OUSD(I)) and the Defense Security Service (DSS). On March 13, OUSD(I) and DSS released a Request for Information (RFI) for a new system that will support the security clearance management life cycle. As a part of the process for selecting an offeror, OUSD(I) and DSS will issue a technical challenge. Offerors will have seven days to submit their code in accordance with instructions. Offerors will be invited to give a 90-minute presentation following the technical challenge. Offerors can present their product and describe company capabilities to the Selection Team, who will make an award to one or more offerors. 3. HQ Supreme Allied Commander Transformation (HQ SACT). On Jan. 7, HQ SACT issued an RFI announcement to invite industry/academia to the TIDE1 Hackathon 2019, the fourth such event run since 2016. Part of the TIDE1 Hackathon will include a Coding Challenge involving what military support activities should be prioritized to enable demining activities. The response should take economic and social priorities for the civilian population into consideration. Proposal professionals can play a big part in improving the success of their team if they can help perform one or more of the activities listed below. Support the selection of a coding team — Even a company’s best coders are often unprepared to take a coding challenge and can benefit from training and practice. An entire industry has grown up around preparing for coding challenges. Coders can attend boot camps to sharpen their skills or test the skills of current employees. In addition, web sites such as Coderbyte, CodeChef, CodeSignal, CodeWars, HackerRank, LeetCode, and TopCoder can provide practice coding challenges. Instruct coders on the win strategy and strengths of the proposed solution — Often coders do not have time to solve all the problems in a coding challenge, so aggressively commenting about the solution methods and expected outcome can help evaluators understand their logic, methods, and expected outcomes in addition to tying them to the written proposal solution. Organize coding challenge tests, reviews, and presentations — Proposal professionals can help schedule and coordinate practice coding challenges and reviews and coach the coding team in presenting a compelling presentation about the product they produce. Stay informed on potential protest issues — On Jan. 9, the Government Accountability Office (GAO) Protest Docket released an opinion on a solicitation issued by the United States Citizenship and Immigration Services (USCIS). The solicitation provided a coding challenge as an attachment five days prior to the RFP closing date. The challenge required the offerors to build a conference room reservation system. One offeror’s proposal was rated as unacceptable because the login failed, thus causing the application to be untestable. However, the protester countered that they met the RFP requirements and the Government used unstated evaluation criteria to evaluate their login solution. 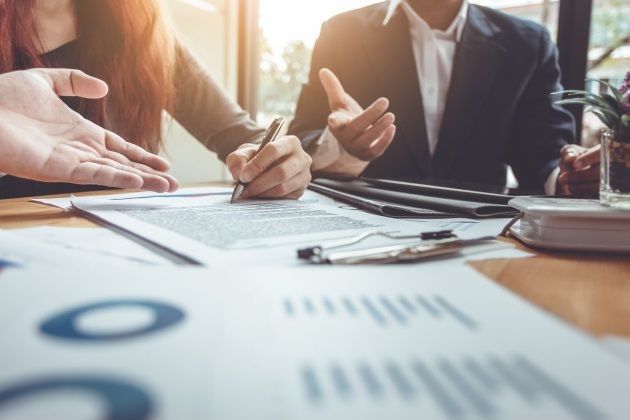 GAO found that It is an offeror’s responsibility to submit a well-written proposal, with adequately detailed information which clearly demonstrates compliance with the solicitation requirements and allows a meaningful review by the procuring agency. GAO indicated agencies are not required to infer information from an inadequately detailed proposal, or to supply, information that the protester elected not to provide. In this case, the proposal team could have helped the coding team ensure compliance and responsiveness to RFP instructions. As coding challenges become an increasing part of the proposal landscape, proposal professionals can help increase their company’s success rate by identifying coding teams, instructing them on the proposal win strategy and compliance requirements, as well as support challenge tests and practice presentations. Brenda Crist, MPA, CPP APMP Fellow, serves as a senior capture and proposal manager and develops strategic solutions for clients at Lohfield Consulting Group. She focuses on helping clients work with their staff and partners to create winning, well-written proposal solutions. She offers hands-on experience from leading and conducting systems and network management projects for many civilian and military clients. Brenda was inducted as an Association of Proposal Management Professionals (APMP) Fellow in June 2011 and also received the Steven S. Myers Award for 2011 APMP Chapter Chair of the Year.